Comodo help guides for all products are available at https://help.comodo.com. 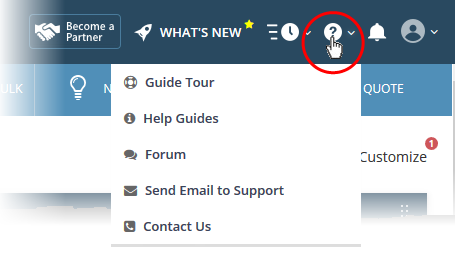 You can navigate to any guide from the main page. Each module of the application has its own dedicated help guide containing detailed descriptions. Register at Comodo One forums and join thousands of other users discussing all aspects of our products. Support phone numbers for US and international customers. You can submit support tickets to Comodo at https://support.comodo.com/. The site also contains an extensive knowledge-base, FAQs and tutorials.